Many companies have been developing alternatives to the traditional rural farming infrastructure in the hope of producing food in a more eco-friendly manner. We have seen greenhouses on urban rooftops, in Japanese parking spaces, and on the seafronts of coastal cities. 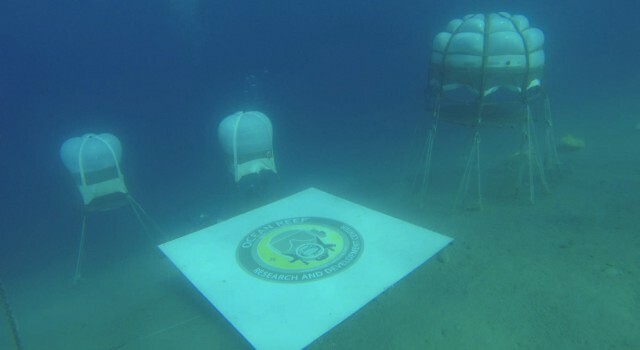 Now, the Italian organization Ocean Reef Group are taking farming even further into uncharted territory with Nemo’s Garden — a collection of greenhouses growing food on the ocean floor off the Noli Coast. The Nemo’s Garden project consists of a small number of bubbles tethered to the ocean floor 30 feet below sea level. The biospheres are dome-shaped structures, filled with C02 rich air. 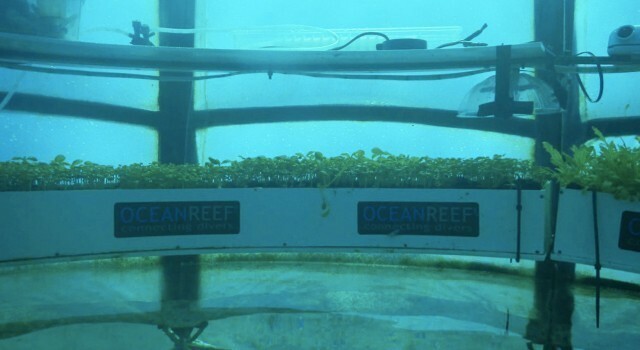 Each bubble has a shelf running around the inside, on which the Ocean Reef Group are growing basil, strawberries and lettuce in regular plant pots. 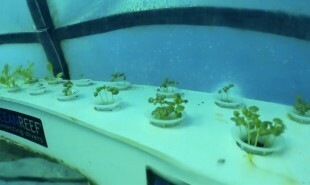 The greenhouses are maintained by trained diver-farmers, and the plants are thriving in a naturally consistent temperature. The high carbon-dioxide levels enable increased growth rates and the crops are untouched by problems such as drought, frost and aphids. Nemo’s Garden is currently crowdfunding on Kickstarter, and intrigued readers can even view a live video feed of the project. What part of the world will greenhouses conquer next?